Partners plan to deploy new machine learning models that predict patient risk for heart disease. Microsoft is expanding MINE – the Microsoft Intelligent Network for Eyecare – to build an AI-focused network in cardiology in a new partnership with Apollo Hospitals. The tech giant and Apollo, one of the largest health systems in India, announced the deal at HIMSS18 in Las Vegas. Microsoft and Apollo will work together to develop and deploy new machine learning models that predict patient risk for heart disease and helps doctors with treatment plans. 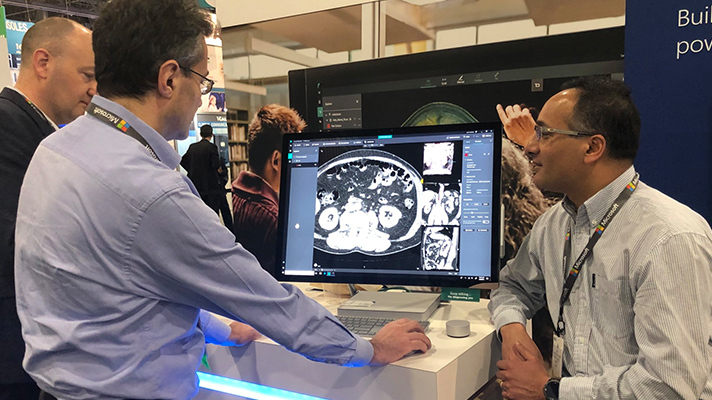 The AI Network for healthcare is part of Microsoft Healthcare NExT aimed to fast-track healthcare innovation with artificial intelligence and cloud computing. Microsoft, for instance, is already working on an AI-powered Cardio API. “AI Network for healthcare aims to democratize artificial intelligence by empowering healthcare providers with faster, intuitive and predictable solutions and reducing the disease burden,” Microsoft corporate vice president for AI & Research at Microsoft Peter Lee said. Microsoft’s partnership with Apollo combines its AI and machine learning knowledge with Apollo’s experience and expertise in cardiology. Cardiac disease is among leading causes of mortality and morbidity in India. Apollo has a large clinical database and a significant pool of clinical talent. The Apollo Hospitals group includes more than 8,000 beds across 45 hospitals. The partners are launching the work in India, and they plan to create a global consortium to tackle multiple conditions in cardiovascular disease, according to Sangita Reddy, joint managing director at Apollo Hospitals.